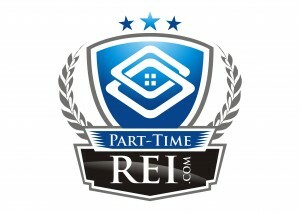 A new report from RealtyTrac is making its way across the investing industry. On August 22nd, one of the nation’s leading source for comprehensive housing data, released its Q2 2014 U.S. Home Flipping Report. That report showed that nearly 31,000 single family homes were flipped nationwide in the second quarter of 2014. This represents a whopping 4.6 % of all U.S. single family home sales; that’s 2 out of every 10 homes sold. This number however is down from previous years. But there is still plenty of opportunity out there. 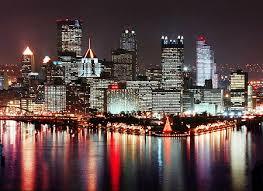 Number one on the list for best returns was to no one’s surprrise, Pittsburgh. 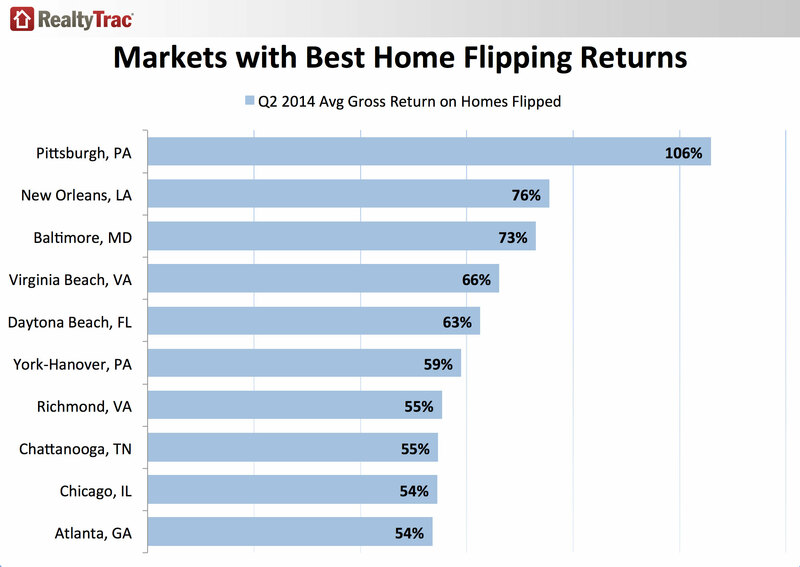 According to the company’s Q2 2014 U.S. Home Flipping Report, Pittsburgh flippers more than doubled their money in 2014. Nearly 31,000 single family homes were flipped nationwide in the second quarter of 2014 — where a home is purchased and subsequently sold again within 12 months — representing 4.6 percent of all U.S. single family home sales, down from 5.9 in the first quarter of 2014 and down from 6.2 percent in the second quarter of 2013. Investors averaged a gross profit of more than $46,000 per flip on homes flipped in the second quarter of 2014, a 21 percent gross return on the initial investment. The average gross return was down from 24 percent in the first quarter and down from 31 percent a year ago, which was the peak in percentage return on flips nationwide since RealtyTrac began tracking the flipping data in the first quarter of 2011. So who else had some great rates of returns New Orleans was on the heels of the Pittsburgh flippers with 76 percent next was Baltimore (73 percent), followed by Virginia Beach, Va. (66 percent) and Daytona Beach, Fla. (63 percent). RealtyTrac is a leading supplier of U.S. real estate data, with nationwide parcel-level records for more than 129 million U.S. parcels that include property characteristics, tax assessor data, sales and mortgage deed records, Automated Valuation Models (AVMs) and 20 million active and historical default, foreclosure auction and bank-owned properties. RealtyTrac’s housing data andforeclosure reports are relied on by many federal government agencies, numerous state housing and banking departments, investment funds as well as millions of real estate professionals and consumers, to help evaluate housing trends and make informed decisions about real estate.